If you’re after a used estate car for £5000, then look no further. There is a huge amount of choice out there, but a good estate is more than just a vast boot space. The load bay has to be practical, the rear seats easy to fold down flat plus - as they’ll more than likely be used for family errands and business - they need to be economical to run. Here’s our guide to the best ten load carriers that you can buy – all of which have plenty of room and are comfortable for everyone inside, with loads of kit, too. 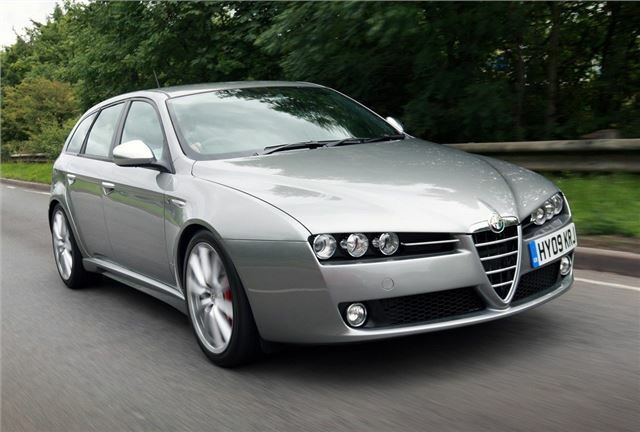 The Alfa Romeo 159 Sportwagon majors on style rather than practicality, but it can accommodate 445 litres with the seats up and 1245 litres with them folded, so it isn’t that far off an Audi A4 Avant. It has more kit than most cars in the market and trading up to Lusso trim, which is the model we found with the 2.4 JTDM engine on a 2006 plate, adds leather trim, rear parking sensors and 17-inch alloys. Talking of engines, the 2.4-litre diesel offers 200PS and is superb for long distance journeys, but there are plenty of other lesser-powered variants to choose from, with petrol units for the enthusiastic driver too. With gorgeous Italian looks and sporty handling, it’s an alternative practical family car to the bigger Volvo V70. There is an article on this site about 'why don't the British like automatics'?. It's hardly surprising since your website rarely reviews automatics when a new car comes out and is not very helpful in identifying the best (particularly petrol) automatics. Most of your reviews favour diesels which as we now know will soon be too polluting to drive.... please can we have a more positive plug for petrol autos of all sizes..? ?